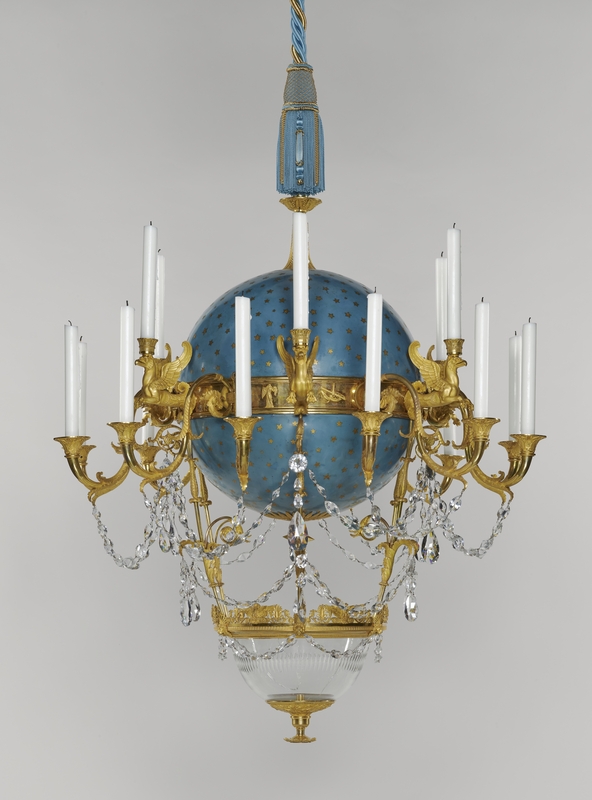 A magnificent gilded bronze chandelier with a uniquely whimsical design is the subject of a new exhibition at the Getty Center in Los Angeles. 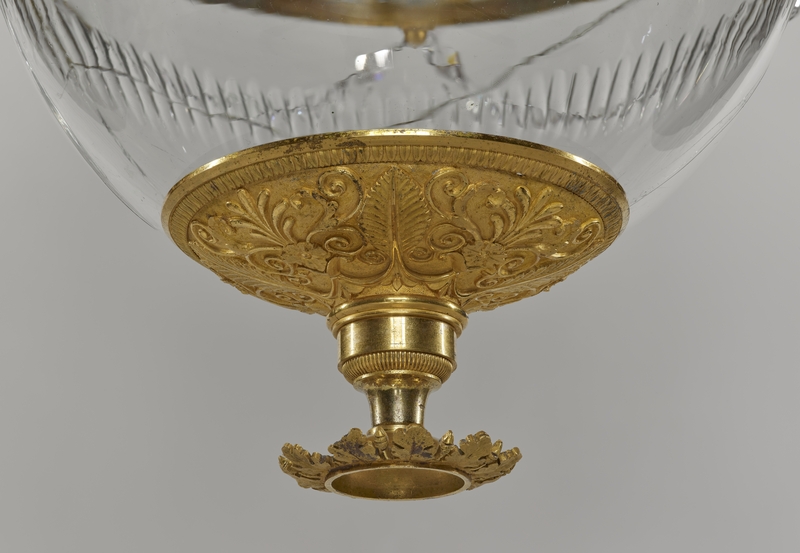 The Galle Chandelier was made in 1818-9 by bronze caster and gilder Gérard-Jean Galle in Paris. Acquired by the Getty in 1973, it has been on display at the Getty Center, one of the gems of its decorative arts collection, since 1997. 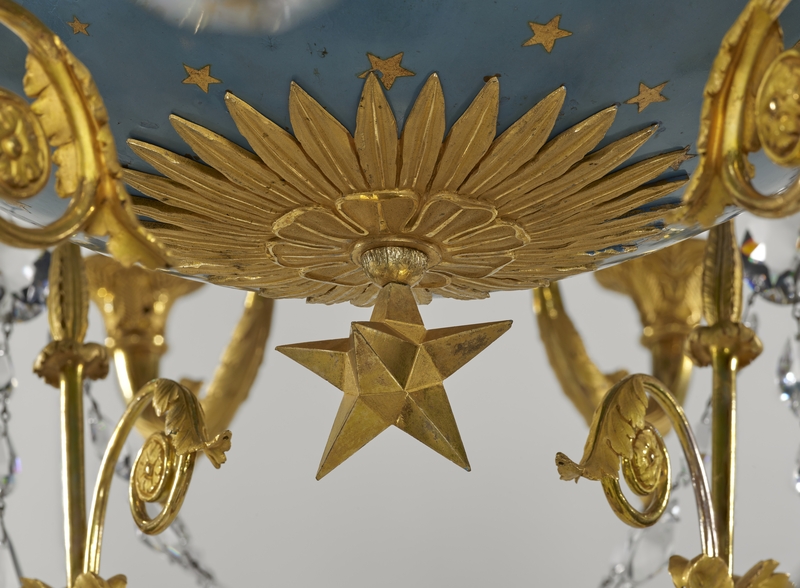 Earlier this year it was removed for conservation and is now back on view in Flight of Fancy: The Galle Chandelier. 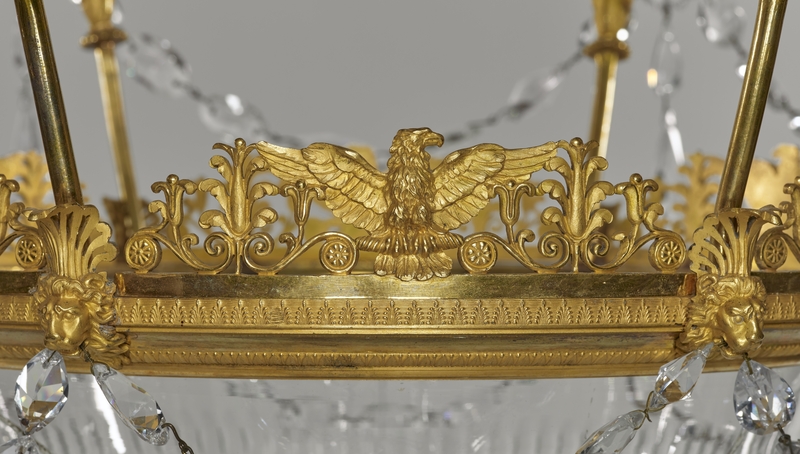 The new exhibition places the chandelier at eye-level so visitors can view the piece up close. On display along with it are images of some of the design details and prints and illustrations that explore Galle’s inspiration for the work. There are also be interactive video panels that will show a rendering of what the chandelier looked like with the candles lit. 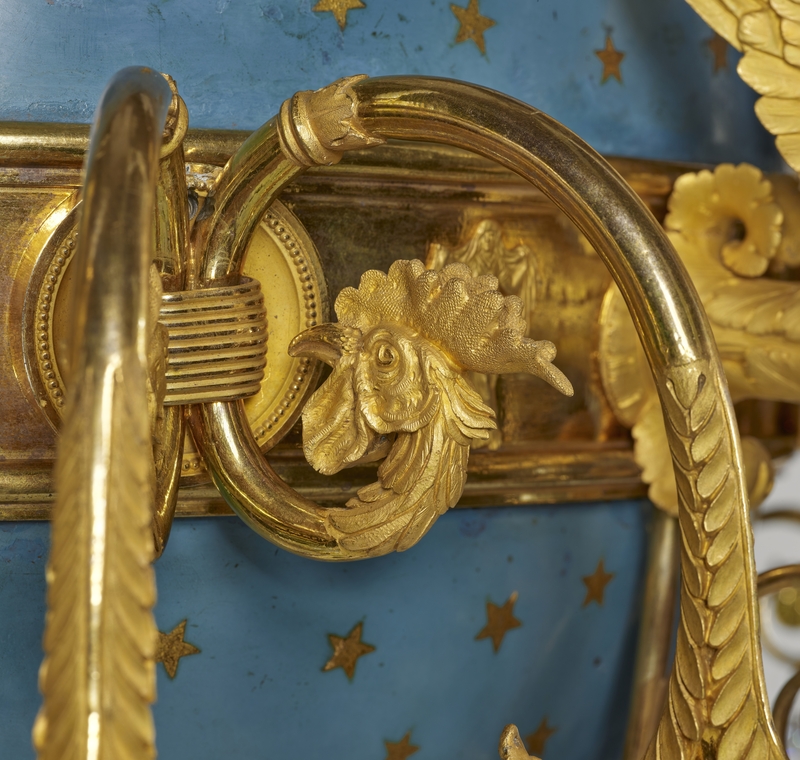 Gérard-Jean Galle came from a family of casters and gilders. His father Claude was one of the premier producers of gilded bronze of his time, creating works for Marie Antoinette, among others. 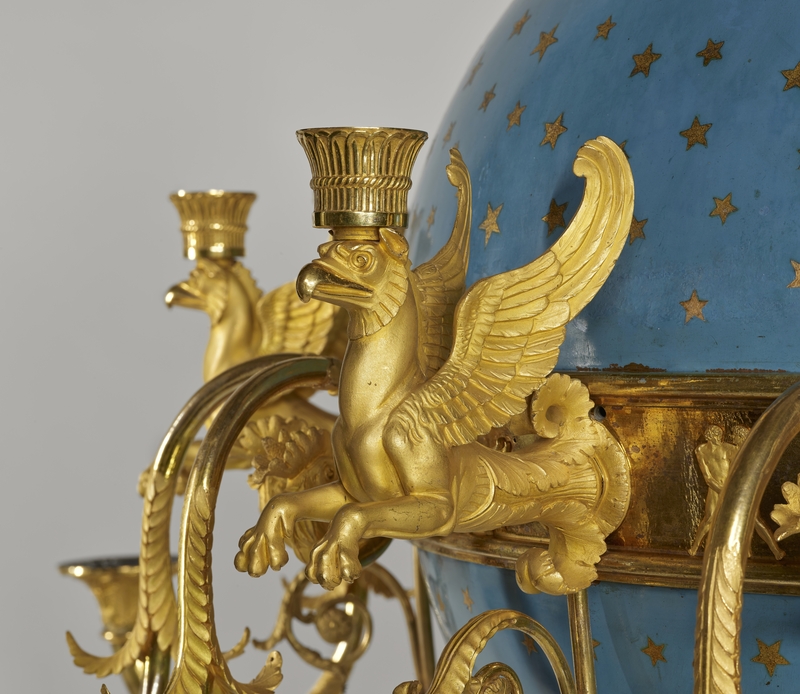 The son took over the family business after his father’s death in 1815, but expensive decorative ornaments weren’t in high demand in post-Napoleonic France. The restored Bourbon monarchy was constitutional now and keen to distance itself from the dizzying spending and ostentation of the Ancien Régime. While what was left of the old nobility did return, they did so in highly reduced circumstances, their ancient feudal powers gone and their lands worked by people they actually had to pay. The new money, businessmen and the professional class, didn’t have the same passion for festooning shiny gold geegaws in every possible nook and granny. Galle’s skill and craftsmanship were certainly recognized. He won the silver medal at the 1819 Exposition des Produits de L’Industrie Française (Exhibition of French Products of Industry), but got little business from it. 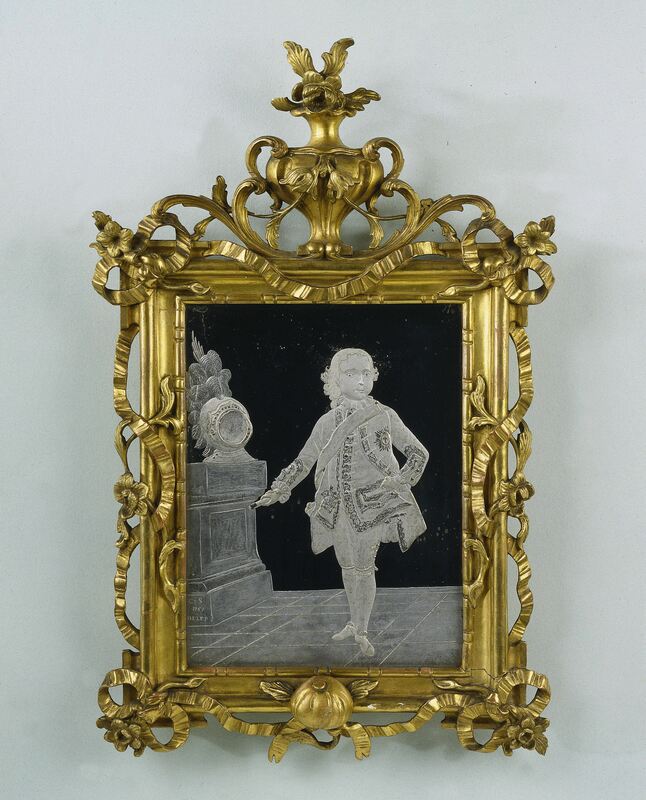 He tried the direct approach, writing a letter to Louis XVIII offering to sell the works he had exhibited at the Exposition for a price that would be “modest for the government.” The government declined. Fish chandelier: In the middle of a blue enameled globe scattered with stars is a circle with the signs of the zodiac and six griffins carrying candles … [below is a glass bowl fitted with] a plug intended for the removal of the water which one places in the bowl with small goldfish whose continuous movement will give agreeable recreation to the eye. The idea of a live fish swimming in a bowl under a chandelier lit by 18 candles is certainly, uhh, innovative. I can’t imagine the fish would have had a good time of it. The globe design was a novelty as well. The gold zodiac symbols on the blue field remind me of the Montgolfier brothers’ historic hot air balloon which first took to the skies before King Louis XVI of France and Queen Marie Antoinette at Versailles in 1783. Galle’s workshop stayed in business despite the royal refusal. He received a gold medal at the Exhibition of Products of French Industry in 1823 and finally did sale some of his pieces to Louis XVIII, earning the title fournisseur de sa majesté (supplier to his majesty), but it wasn’t enough to bring him any financial security. The Revolution of 1830 kneecapped his market yet again. He was forced to cut his workforce in half and the business ultimately went under. He died in poverty in 1846. Flight of Fancy: The Galle Chandelier will run through April 19th, 2020. To be fair, it’s a really, really old Coke bottle, a modified prototype of the curvaceous form that has become a pop culture icon. There are only three prototypes of the contour bottle known to survive, and this is the only one that is completely intact with nary a scratch, chip or any signs of wear whatsoever to mar its handsome green surface. In fact the hammer price is something of a bargain, all things considered. It was born in 1915 when the Coca-Cola Bottling Company in Atlanta sought to differentiate itself from its competitors by replacing the plain, straight-sided bottles everyone used with “new bottle, a distinctive package” that would make Coke instantly recognizable. Once divorced from the drug store soda fountain counter, the beverage’s success in bottled form had spawned many imitators. Coca-Cola first tried to beat off the copycats with a distinctive diamond-shaped label in 1906, but because many stores kept their soda bottles in big buckets of ice, the paper labels often slipped off. The 1,000 bottling plants franchised to produce Coca-Cola at that time were required to emboss their bottles with the famous cursive lettering trademark created by Frank M. Robinson, partner and bookeeper of Atlanta pharmacist Dr. John S. Pemberton who invented the soft drink in 1886. The problem was that as recognizable as the Coca-Cola lettering was, imitators were shameless about copying it for their sodas. Brands like Koka-Nola, Murphy’s Coca-Cola, Mo-Cola and Koke, either straight-up stole the script or modified it ever so slightly the public to dupe the public. 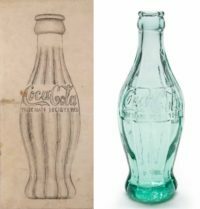 Coca-Cola launched a contest among the eight or 10 large glass works that supplied its current bottles to create a new design. Benjamin Thomas, co-founder of the Coca-Cola Bottling Company and developer of its worldwide bottling system, wrote that their mission was to create a “bottle so distinct that you would recognize if by feel in the dark or lying broken on the ground.” The proposed designs were to be sent to the bottling company headquarters in Atlanta along with a prototype bottle. Eleven bottles were submitted. A committee of Coca-Cola bottlers and lawyers assembled in Atlanta in August of 1915 to pick the winning design. The bottle designed by staff machinist Earl R. Dean at the Root Glass Company in Terre Haute, Indiana, was the clear winner. He and his co-worker Clyde Edwards had been sent by shop foreman Alexander Samuelson to the public library to research the coca plant and kola nut, in the hope their shapes would provide inspiration. They didn’t. Instead, they came across an image of the curved, ribbed cocoa pod. Dean quickly drew up a sketch for a contoured, fluted bottle and within hours a few samples were created. The first design did require some modification for practical reasons. The diameter of the base was smaller than that of the middle of the bottle. The former had to be widened and the latter slimmed down in order to keep the bottles from toppling over on the conveyor belt and so they’d fit into the bottling machines that were already in use. Root made the changes and created a new sample bottle for the Coca-Cola Bottling Company’s approval. The revised prototype was approved and a limited-run production followed to make bottles for testing in four bottling plants, two in Alabama (Birmingham and Anniston), one in Augusta, Georgia, and one in Nashville, Tennessee. This was a top secret operation, with only the bottling plant owners and a few supervisors allowed on the premises during the trial runs. The bottles used were apparently destroyed after the testing (fragments from several of the bottles were found in the garbage dump of the Birmingham plant in an excavation in the late 1970s). The bottle’s new design worked like a charm. Cosmetic changes were made — the city was moved to the bottom of the bottle and the patent date to the middle of the bottle under the Coca-Cola logo — but the Coke bottle’s shape was set. The contour bottle was introduced nationally in April of 1917 and quickly became famous worldwide. 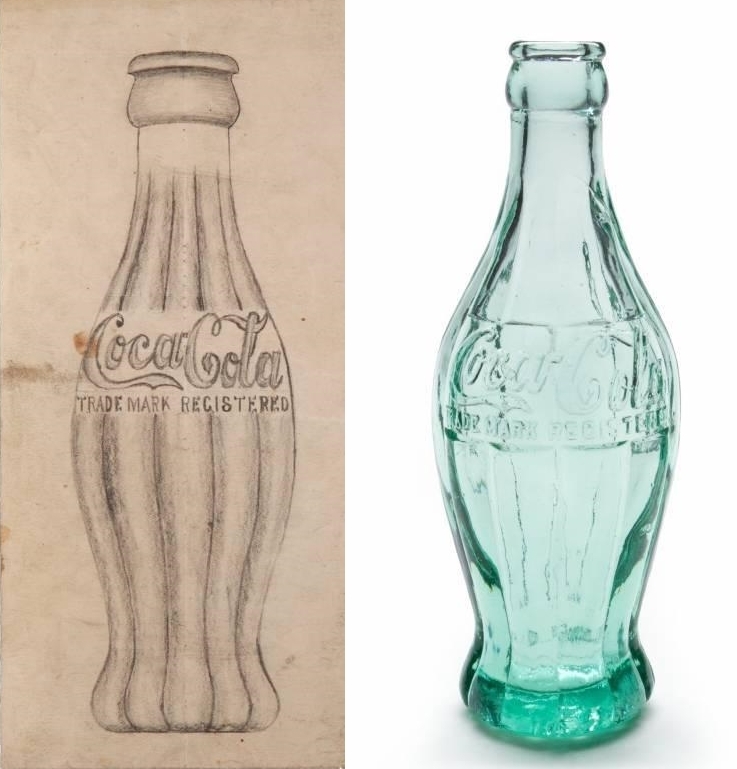 The bottle coming up for auction was discovered in an extensive collection of Coca-Cola memorabilia originally assembled by a retired Coca-Cola employee who had once worked for Chapman Root, founder of the Root Glass Company. 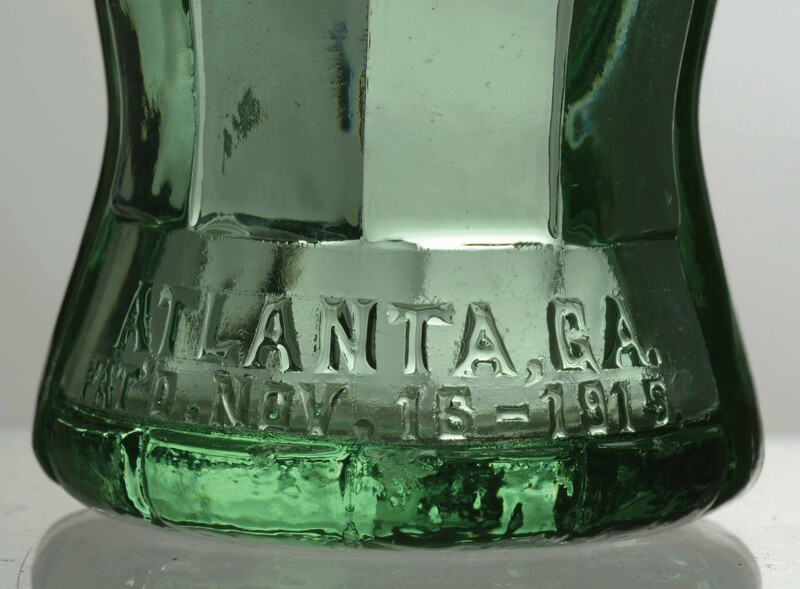 The base of the bottle is stamped “Atlanta, GA, 1915” and under that is the date the bottle was patented by Alexander Samuelson (November 16, 1915). The Coca-Cola logo is on the bottom. The dates, placement of the trademark and its pristine condition indicate this was the modified prototype, not one of the first samples made at the Root factory, nor one of the bottles used in the test production. It is the only known example. 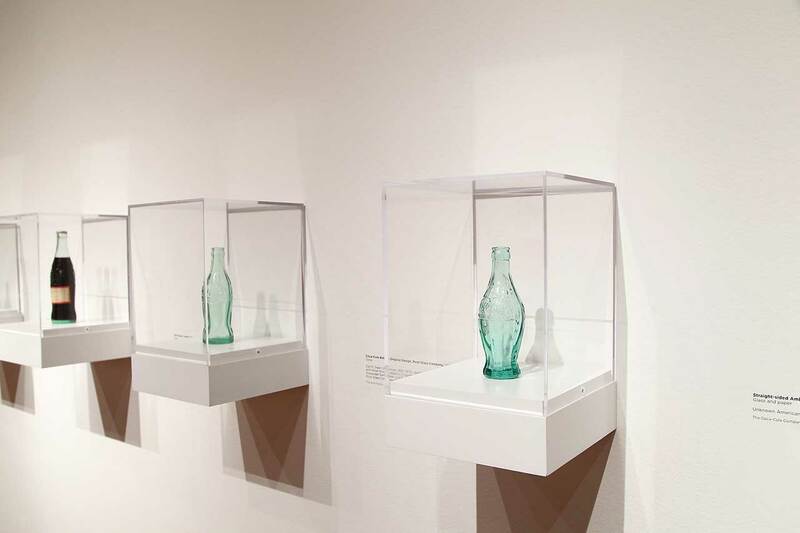 One of the original prototype bottles is owned by the Coca-Cola Company and was recently part of an exhibition dedicated to the 100th anniversary of the iconic bottle at Atlanta’s High Museum of Art. A second was sold at auction in 2011 for $250,000. Earl Dean’s first pencil sketch of the bottle sold at that same auction for $237,500. “This bottle is a missing link in the history of Coca-Cola. From the moment it arrived in our hands, we knew it would create a buzz. It’s considered a highly important piece, not only by Coca-Cola collectors but also advanced bottle collectors,” Morphy said. The new owner of the bottle is a private collector who prefers to remain anonymous. 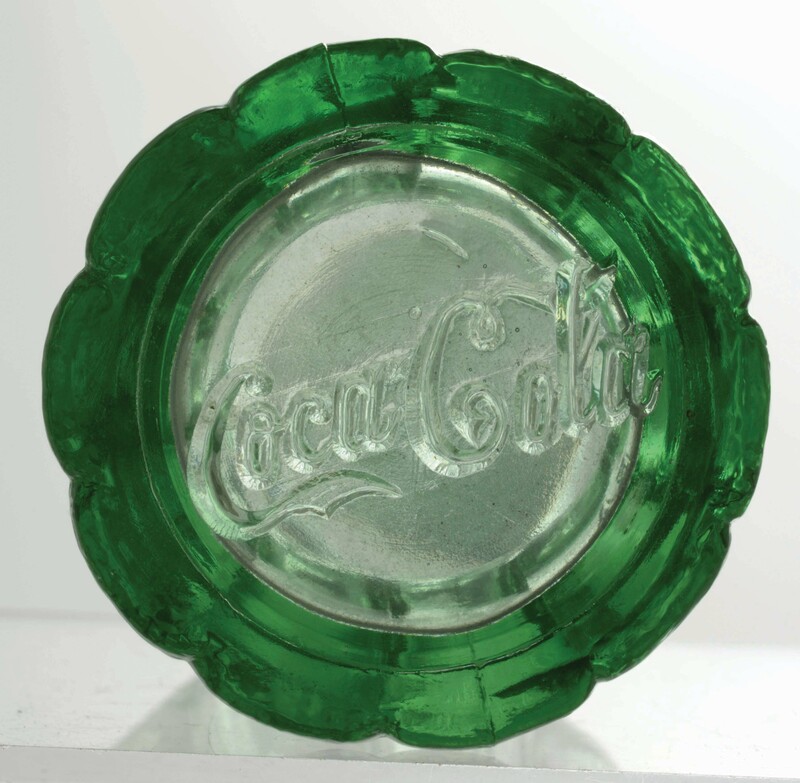 The auction took place over three days (April 12-14) and Coke memorabilia was only part of it. Most of the items were antique coin-operated games and gambling machines, Old West collectibles and assorted advertising. The catalogue is an absolute blast. It makes me yearn to create my own personal Coney Island in my basement. Paleontologists have discovered the remains of a new species of carnivore mammal in a drawer at the National Museums of Kenya. Fossils of a jaw, fragments of skull and pieces of the skeleton were unearthed in western Kenya between 1978 and 1980 by researchers looking for ancient primate remains. As the 22-million-year-old bones clearly did not come from apes, they were put in a cabinet and largely ignored until 2013 when Ohio University paleontologist Dr. Matthew Borths spotted them in a cabinet marked “hyenas” and realized they could be highly significant. Borths contacted Ohio University paleontologist Dr. Nancy Stevens and she told him she’d noticed the unusual specimen as well while doing research in Nairobi. They teamed up and returned to the Nairobi National Museum in 2017 to study and analyze the fossils. They named the species Simbakubwa kutokaafrika. With giant canine teeth the size of a banana, a skull as big as a rhinoceros and a body larger than a polar bear, the carnivore was far bigger than any of the big cats roaming the earth today. Simbakubwa is Swahili for “big lion” because the animal was likely at the top of the food chain in Africa, as lions are in modern African ecosystems. Yet Simbakubwa was not closely related to big cats or any other mammalian carnivore alive today. 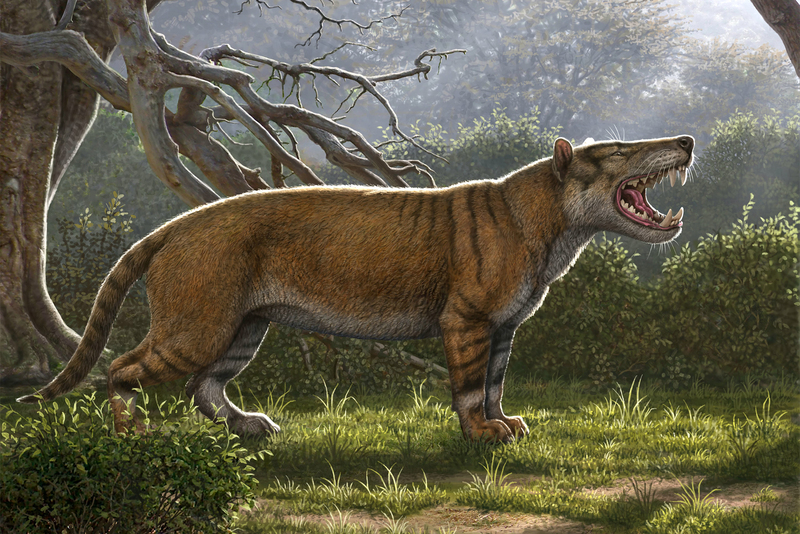 Instead, the creature belonged to an extinct group of mammals called hyaenodonts. Hyaenodonts were the first mammalian carnivores in Africa. For about 45 million years after the extinction of the non-avian dinosaurs, hyaenodonts were the apex predators in Africa. Then, after millions of years of near-isolation, tectonic movements of the Earth’s plates connected Africa with the northern continents, allowing floral and faunal exchange between landmasses. Around the time of Simbakubwa, the relatives of cats, hyenas, and dogs began to arrive in Africa from Eurasia. 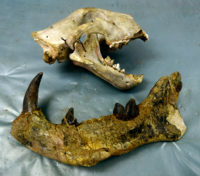 Modern carnivores have one pair of meat slicing teeth in the back of the jaw. Hyaenodonts had three, so that made them highly effective meat cutters. They were hypercarnivores, animals that get more than 70% of their food from meat. The newly identified species Simbakubwa is the oldest species of gigantic hyaenodonts known, and its origin in Africa indicates gigantic hyaenodonts first evolved in Africa and then spread to Asia and Europe. They went extinct in the Miocene, about five million years ago, after millions of years of drastic changes in the ecosystem due to a drying climate. As apex predators, the gigantic hyaenodonts would have been fewer in number than other animals and highly reliant on a stable populations of prey. Take away that 70+% meat and the carnivore quickly dies off. The study has been published in the Journal of Vertebrate Paleontology and can be read online in its entirety. The Rijksmuseum is showcasing some of the humble magnificence from its storage depot. This group of domestic and everyday use objects haven’t been on display for at least a hundred years, overshadowed by the museum’s extraordinary collection of masterpieces. They’re getting their moment in the sun thanks to the Netherlands Collection Centre , a new shared storage building currently under construction in Amersfoort which will maintain the stored treasures of the Rijksmuseum, Paleis Het Loo, the Dutch Open Air Museum and the Cultural Heritage Agency of the Netherlands all in one state-of-the-art facility. To prepare for the move, the Rijksmuseum is revising their inventory entries for each piece, taking new photographs and writing new descriptions. The objects range in date from the Middle Ages to the 19th century and will be displayed in five different galleries. 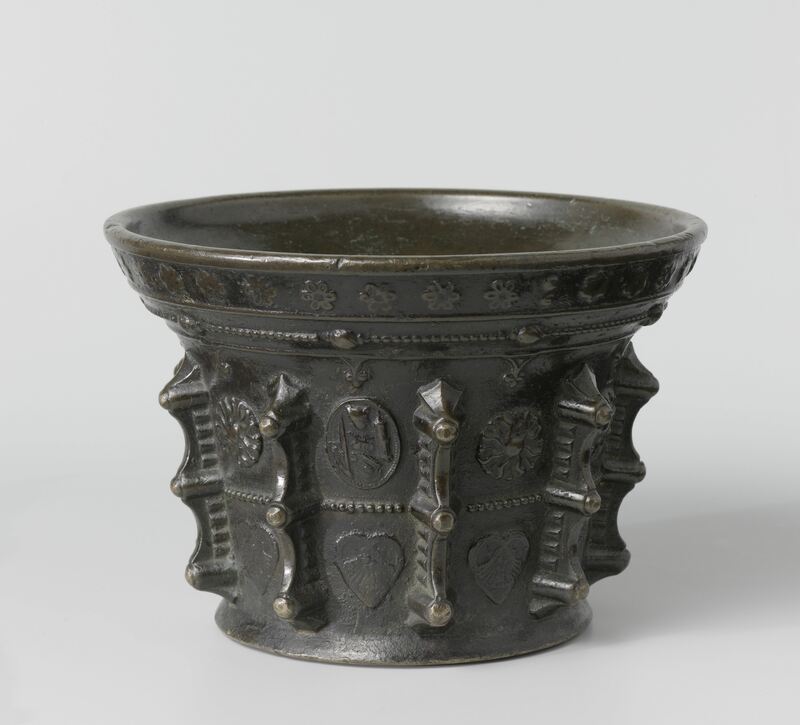 The Middle Ages are represented by the museum’s entire collection of bronze mortars and pestles, used in pharmacology and perfume-making and for grinding spices in the home. 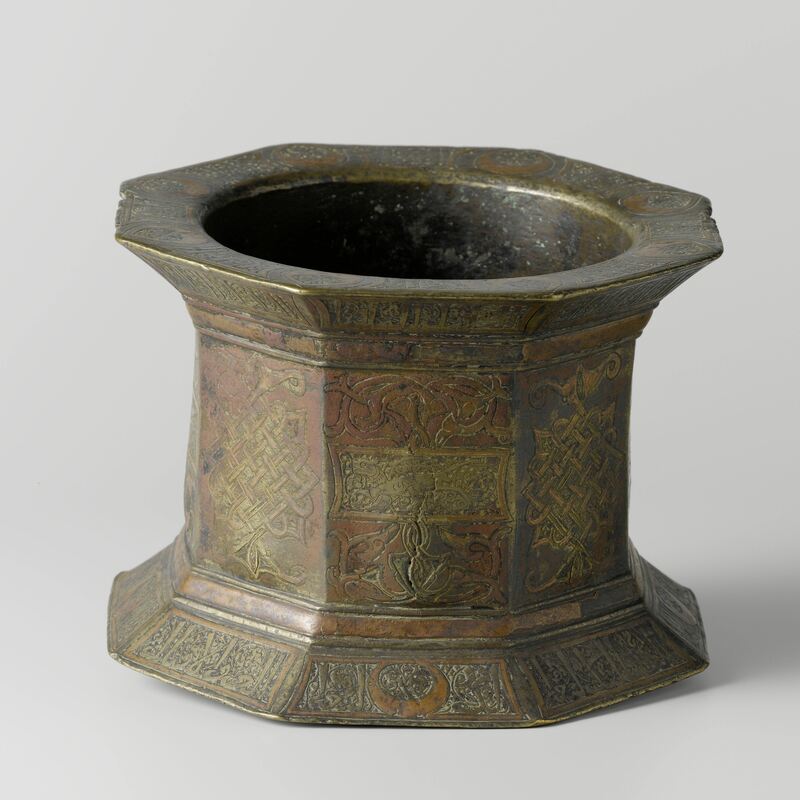 The oldest mortar is a marquetry red copper and niello piece made in Khorasan, Persia, between 1100 and 1225. It is octagonal on the outside and cylindrical on the inside. The rest of the collection are of European, mosty Dutch, manufacture and decorated with all kinds of motifs from florals to lion heads to saints and hearts and slightly threatening studded ribs. The Dutch Golden Age, so often associated with great artworks by the likes of Rembrandt, is viewed through a homier perspective in 17th century fireplace and kitchen bricks and tiles and cast iron firebacks. 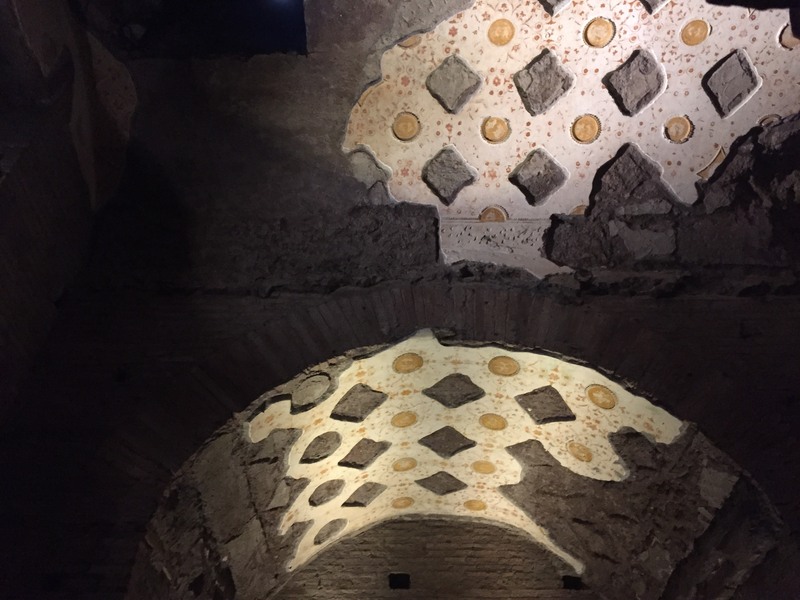 They performed an important function, protecting homes from areas of open flame, but that’s no reason not to make them a beautiful adornment as well. If I didn’t love my kitchen and fireplace as they are, I would be sorely tempted to get my mastic on and cover every conceivable surface with them. I mean, Scipio and Hannibal glowering at each other across a roaring fire? Yes please. We may think of them as relatively mundane objects today, but when the mirrors in this collection were made in the 16th through 19th centuries, t hey were extremely expensive in materials, craftsmanship and human life as toxic mercury was essential to the process. 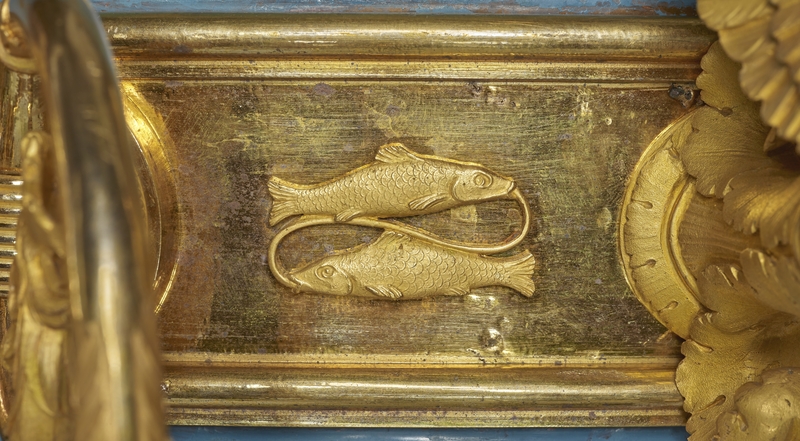 This is reflected in their frames, which featured elaborate gilding, carving, molding and marquetry inlay. Some aren’t even looking glasses, but rather used as a striking medium for portraiture. Small in size but not in stature are textile samples from 19th and early 20th century designers. 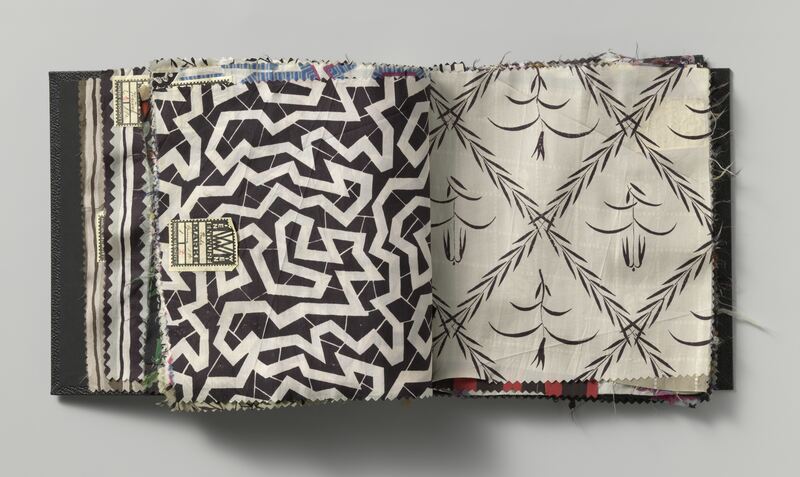 Fabric swatches by Theo Nieuwenhuis, a student of Pierre Cuypers, architect of the Rijksmuseum whose design paid a great deal of attention to interior decoration with colorful, highly patterned wall frescoes and furnishings, are examples of the upholstery and wall textiles that once adorned Amsterdam’s Shipping House and other important city buildings. Most of the original interiors were discarded and replaced when fashions changed or they wore out. 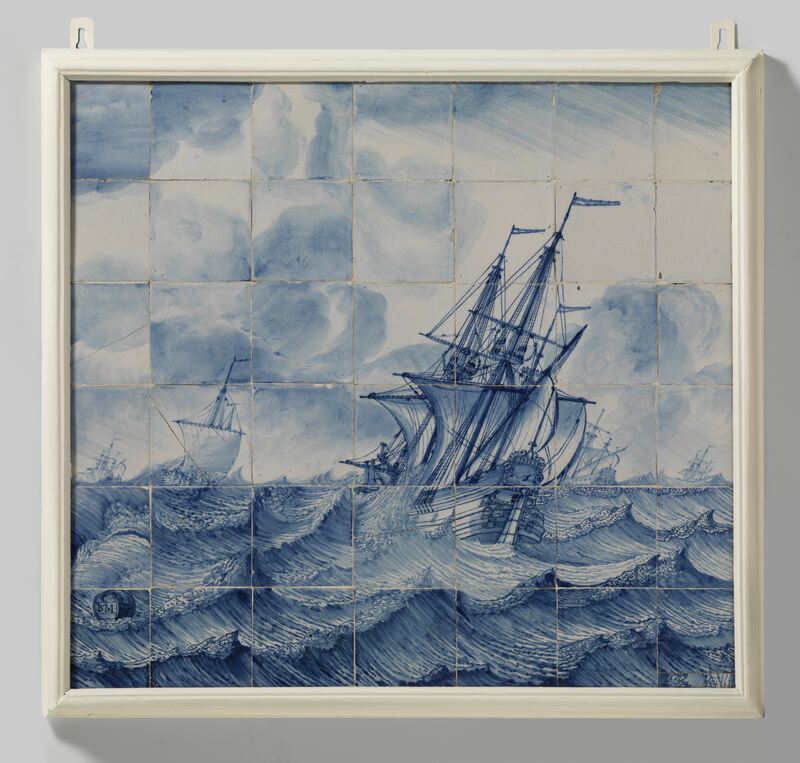 Because the Rijksmuseum is very kind to those of us not fortunate enough to have regular access to it, almost all the objects on display in this exhibition have been collected in a Rijkstudio gallery so we can browse them online. 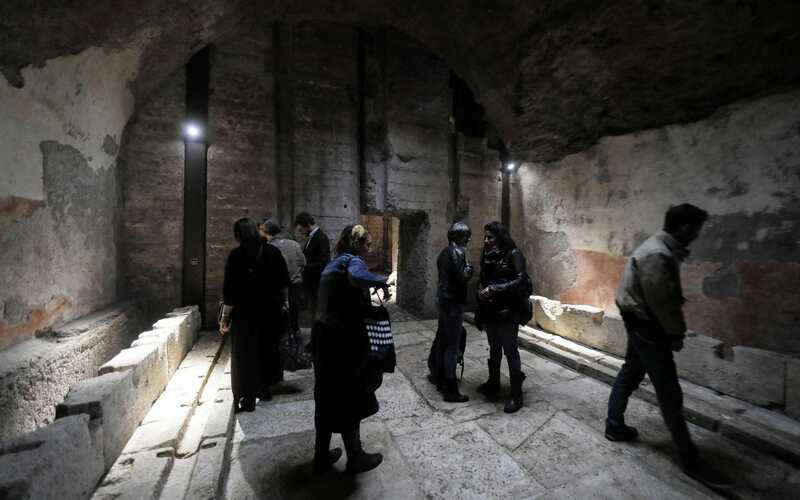 The 28 white marble stairs said to have been trod upon by Jesus during his trial before Pontius Pilate have been unveiled for the first time in three centuries. 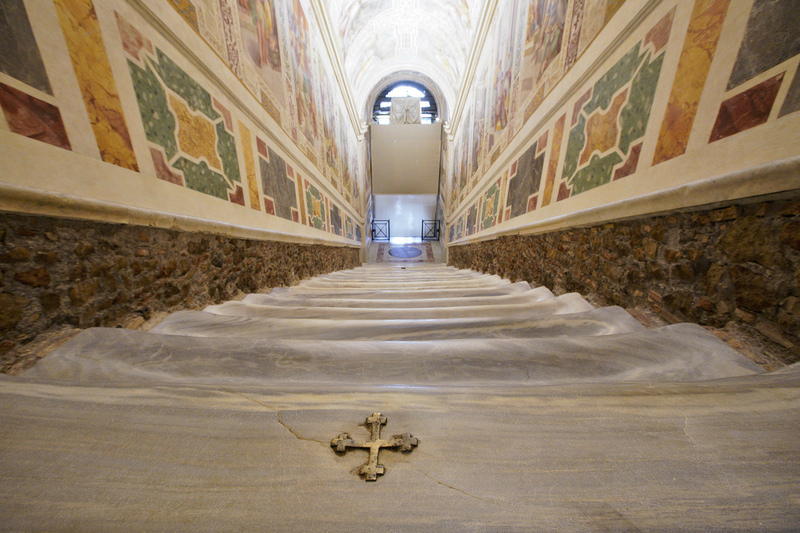 Church tradition holds that the staircase led to the prætorium of Pilate and was brought from Jerusalem to Rome by Helen, mother of Constantine, in 326 A.D. 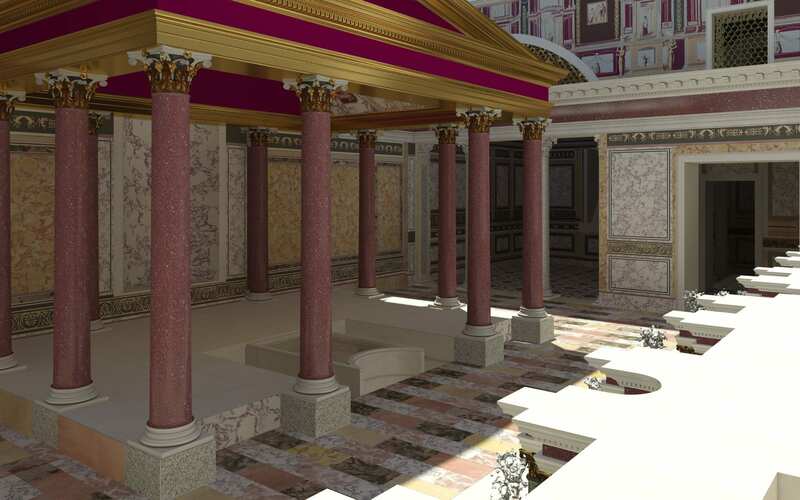 They were installed in the Lateran Palace, the ancient domus of the Plautii Laterani family on the Caelian Hill which was given to the Pope by Constantine around 313 A.D., leading up to a hall near the Chapel of St. Sylvester. They were protected with a dedicated roof and regular steps were built on either side for non-ceremonial use. The Lateran Palace was the primary residence of the popes until the 14th century when the papal court was moved to Avignon. By the time the long Babylonian Captivity was over and the papacy returned to Rome in 1377, the Lateran had suffered extensive damage in two major fires and the popes looked elsewhere for digs, eventually winding up in the Vatican. Today, the Scala Sancta leads to the Sancta Sanctorum, the first private papal chapel which is known as the Holiest of Holies due to the numerous relics secreted there none of which have been seen since the early 16th century. The sanctuary is one of several buildings of the Lateran complex which includes the palace and the Basilica of St. John in Lateran, the titular seat of the Bishop of Rome. 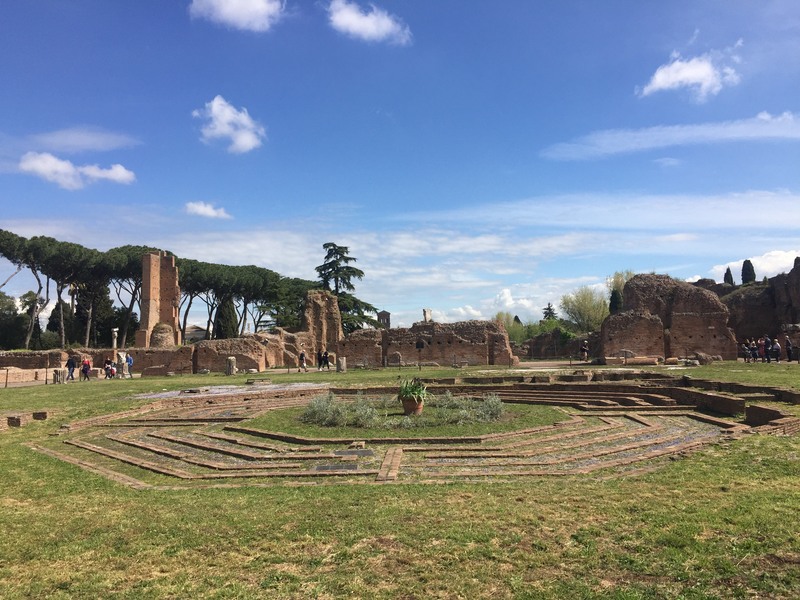 The Sancta Sanctorum is the only surviving section of the original ancient Lateran Palace, demolished by Pope Sixtus V in 1586 to make way for the much smaller one that stands there today. (Sixtus V was notorious for razing ancient monuments to the ground for use as raw material in his ambitious programs of architectural modernization.) 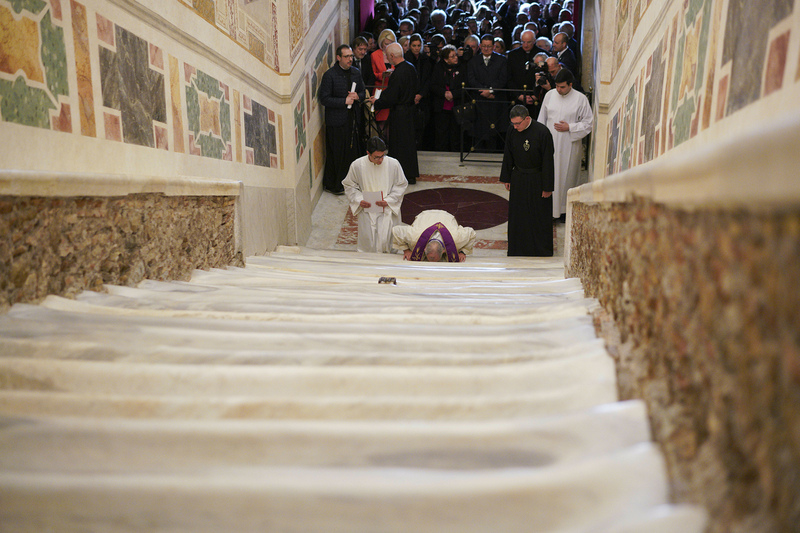 He had the steps moved to the base of the Sancta Sanctorum and opened them to the public for the first time. The steps and chapel became a major site of pilgrimage, with pilgrims ascending the stairs on their knees, kissing three spots marked with a cross said to be stained with droplets of Christ’s blood. So many pilgrim knees rubbed against the marble that they eroded deep troughs across the full width of each step. To keep the stairs from whittling down to nothing, in 1723 Innocent XIII had them covered them with walnut wood for their protection. Those casings remained in place for close to 300 years. Restoration of the Holy Stairs began in January of 2018. Both the marble and the wood coverings required conservation, as did the frescoes on the side walls, so the Scala Sancta has been closed since work began. 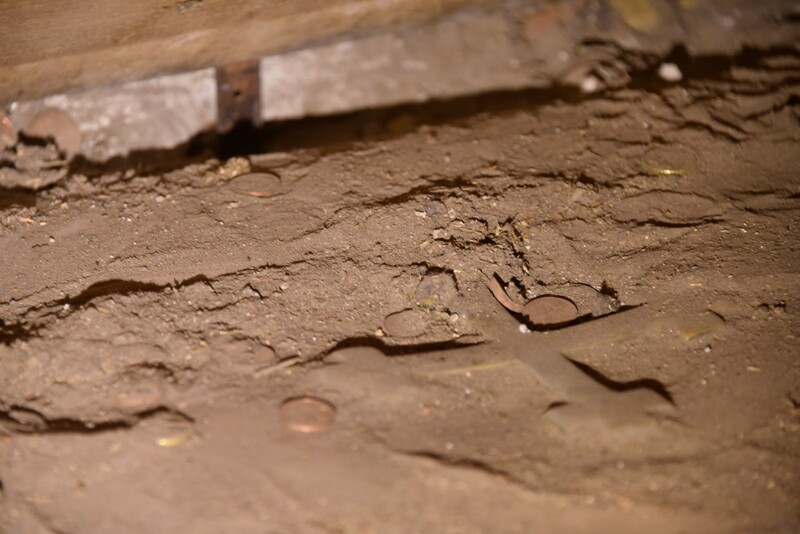 When restorers removed the wood, they were surprised to find deep furrows in the center of the steps. They realized these marks were left by the tips of millions of pilgrim shoes pushing up to the next step. The conservation of the wood is not finished yet. The work on the marble steps, however, is complete, so Church authorities decided to open them to the public for a very short period from April 11th until June 9th, the day of Pentecost. Orthopedists can go ahead and buy that new Mercedes, because pilgrims are flocking to the Scala Sancta to take advantage of the opportunity. Oh, and there are plenary indulgences on the line for anyone who goes up the stairs on the knees in prayer after taking Communion and Confession. 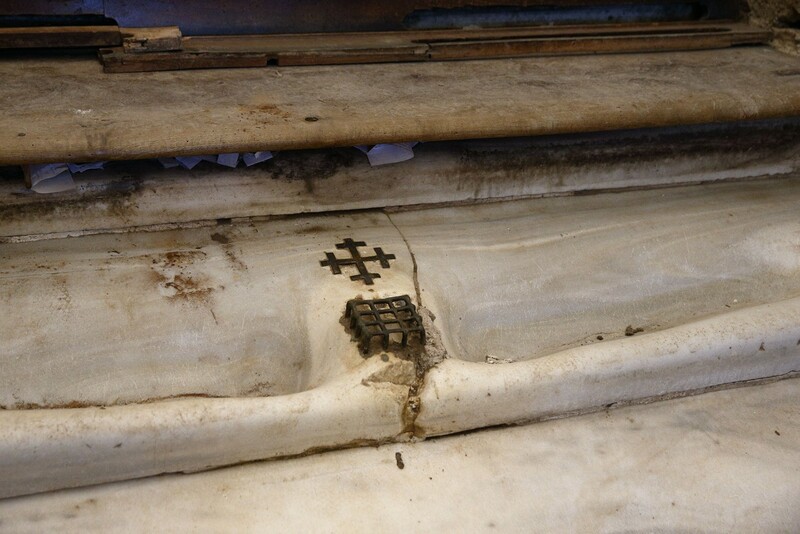 Three medieval crosses, set into the marble to commemorate that event, will now become visible again: the first in porphyry at the beginning of the staircase, another in bronze at the end, and the third on the eleventh stair, where according to tradition Jesus fell, breaking the marble with His knee. Under the technical and scientific direction of the Vatican Museums, with the contribution of the Patrons of the Arts in the Vatican Museums, the restorers have brought to light the ancient marble, gathering from under the wooden cover a multitude of written notes, ex voto, coins and photographs left by the faithful, and now conserved by the Passionist Fathers who since 1853 have safeguarded the Shrine, at the behest of Pope Pius IX. 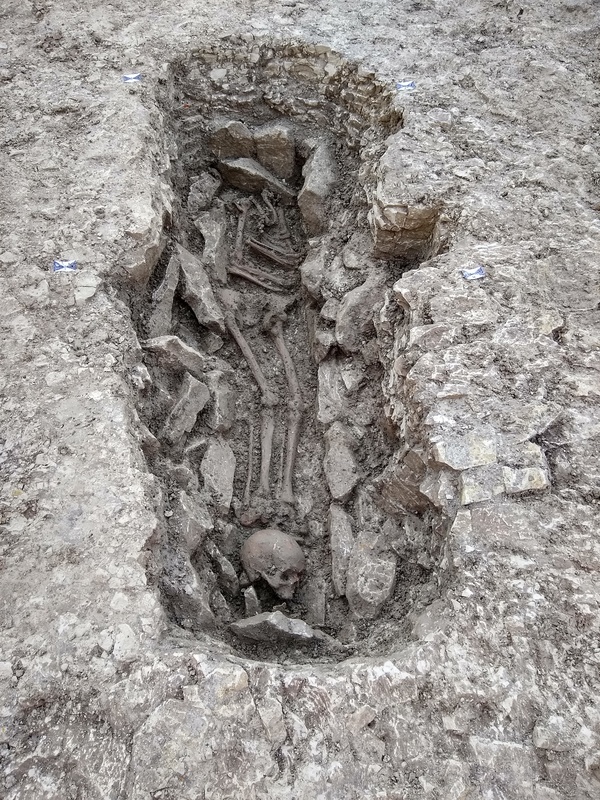 Excavations at the site of a water pipe installation have discovered 26 ancient skeletons, some from the Iron Age with unusual burial practices that suggest a ritual purpose. The new water pipes are being installed near Wantage in Oxfordshire to protect Letcombe Brook, a rare chalk stream in the Vale of White Horse which has been under environmentally damaging pressure from the water needs of agriculture and population. With the Uffington White Horse, the iconic Iron Age chalk hill figure, just five miles away, the site was archaeologically surveyed before the pipe installation. Contractors Cotswold Archaeology excavated several sites in the area where the 3.7 miles of pipe were set to be laid. 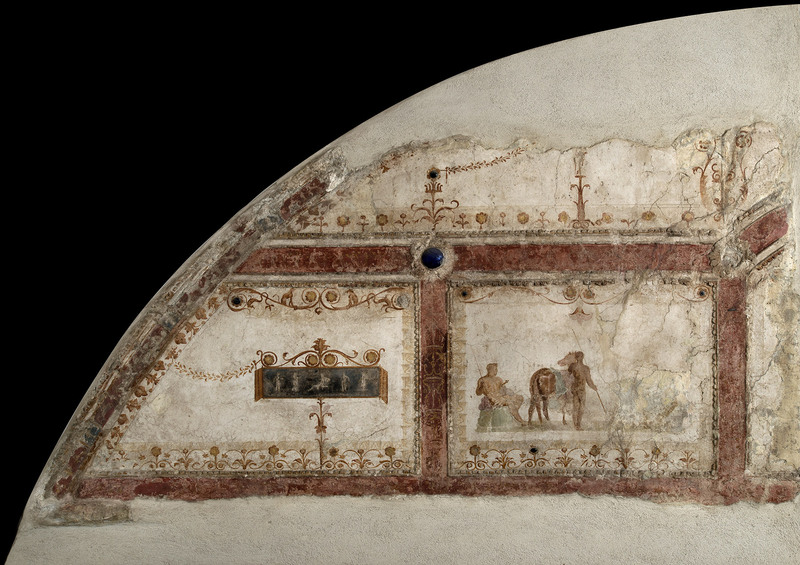 They unearthed 26 individual burials dating from the Iron Age and the Roman period. They also found the remains of animals, household objects, pottery, cutting tools and one comb. 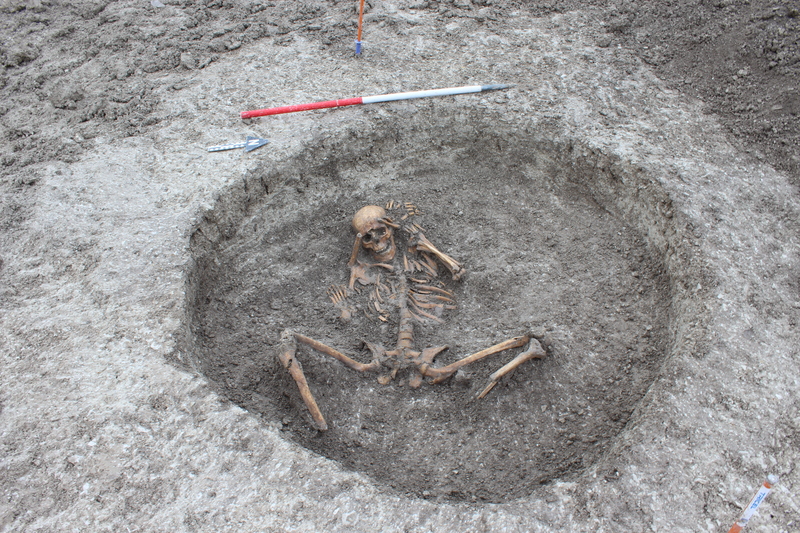 Unusually for the period, the Iron Age skeletons were buried in pits. There are very few surviving graves from this time, between two and three thousand years ago, because many of the Iron Age communities in the area are believed to have practiced a form of sky burial in which bodies are placed in the open air to decompose courtesy of the elements and scavenging animals. Some of the pit burials featured peculiar body placement, a head between the feet, for example, and feet relocated to the upper body. 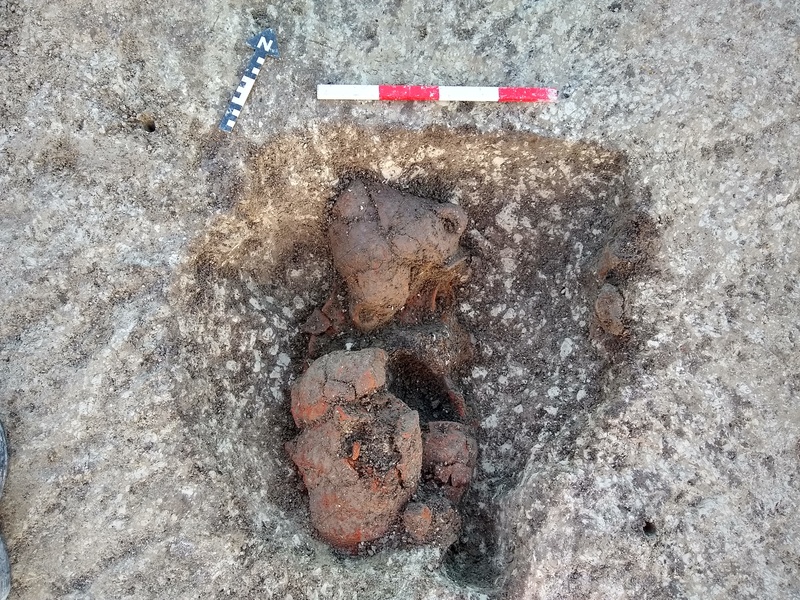 Iron Age pit burials appear to have had a ritual purpose, and previous discoveries show evidence of bones having been exhumed at later dates. “The Iron Age site at Childrey Warren was particularly fascinating as it provided a glimpse into the beliefs and superstitions of people living in Oxfordshire before the Roman conquest. Evidence elsewhere suggests that burials in pits might have involved human sacrifice. 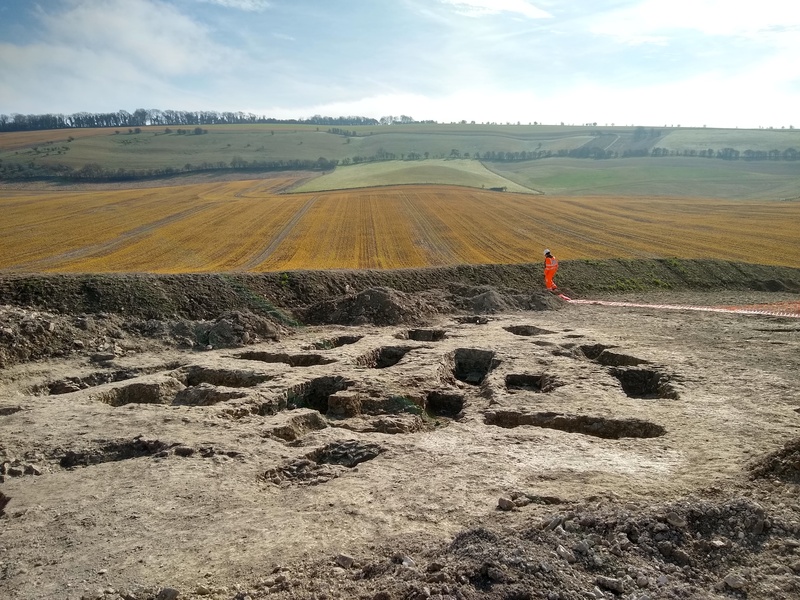 Paolo Guarino, Cotswold Archaeology project officer, added: “These findings open a unique window into the lives and deaths of communities we often know only for their monumental buildings, such as hillforts or the Uffington White Horse. The human remains and archaeological material have been removed from the site by Cotswold Archaeology. They will be examined in laboratory conditions while Thames Water lays the new pipes which will supply groundwater taken from the Thames to neighboring villages thereby preserving Letcombe Brook’s unique ecosystem. The roof is gone, the spire is gone, but the north and south towers of Notre Dame have withstood the conflagration. The rose windows survived, which is a freaking miracle. I thought they were goners for sure. The bells, including the great 13-ton bourdon Emmanuel, the only bell of Notre Dame to survive the cultural holocaust of the French Revolution, are intact. The artistic and religious treasures it held are safe in an undisclosed location. Watching that spire collapse was so deeply horrifying I still can’t stand to recollect it, but it could have been so, so much worse, as in burned to the ground worse. The statues on the roof, which would have melted into puddles for sure, were removed prior to the beginning of the restoration work on the spire that was ongoing when the fire broke out. The damage is massive and quite literally irreplaceable in the case of the wooden beams that formed the structure of the roof. They were cut down in the 13th century and there haven’t been any trees left that size in France for hundreds of years. It’s traumatizing to confront that level of loss. What’s gone is gone for good. At the same time, the soaring Gothic majesty of that wood framing is the reason why the fire burned so thoroughly. Lots of oxygen, lots of combustible fuel, no way to break the fire, no way to fight it from the inside. Whatever architectural solution is devised to reconstruct the roof, I imagine fire security will be a top priority. The church is owned by the state with the Church having rights of use. In the past this arrangement has caused lots of delays and nonsense when it came to restoration, but the agony of yesterday’s events will, one hopes, remain perpetually sharp and the outpouring of support — French billionaires have already pledge $339 million to the repairs — will keep attention fixed on bringing Notre Dame back. My mother reminded me when we spoke just after the spire fell that when we lived in Rome many decades ago, a fire raged through St. Paul’s Outside the Walls, my favorite church when I was a kid. She said you could hear the stone cladding explode in the heat. St. Paul’s is far more modest in size and height than Notre Dame, and still the fire burned so viciously that it turned marble into artillery shells. Today it is more beautiful than ever, its gold facade gleaming even brighter than when I was a child with my face pressed against the window of the car to see the brilliant glow of the sun reflect against the mosaic every time we drove by it. A reminder of what Notre Dame’s bells sounded like when her new ones were inaugurated just over six years ago. They will sound again. Between 43:20 – 45:18 all ten tower bells were rung along with the three in the spire, now lost forever. I’ve belatedly upgraded to the current version of WordPress and things are a little hinky. Nothing huge, but some hiccups need ironing out. Hold tight!